Our first episode is focused on beautiful, bustling Budapest. Today, we visit the jewel of Central Europe with professional guide, entrepreneur, Budapest local and Boys II Men aficionado Bogi. Bogi takes us through top highlights of her hometown, plunging into the trendy nightlife and culture Budapest has to offer. We discuss the latest trends that even locals are buzzing about, which neighborhoods are best to explore, and the countless activities that you just can’t find anywhere else but funky Budapest. 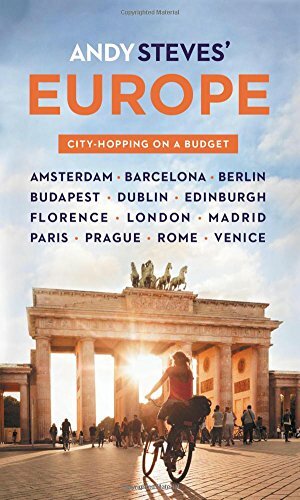 Bogi’s been a guide at my tour company, Weekend Student Adventures, for 5+ years now, and I also rely on her to help me update my guidebook, "Andy Steves’ Europe: City-Hopping on a Budget." Chatting about the food and fun experiences in Budapest has me dying to get back ASAP. I hope you enjoy and as they say in Budapest, Eggeshegadre!